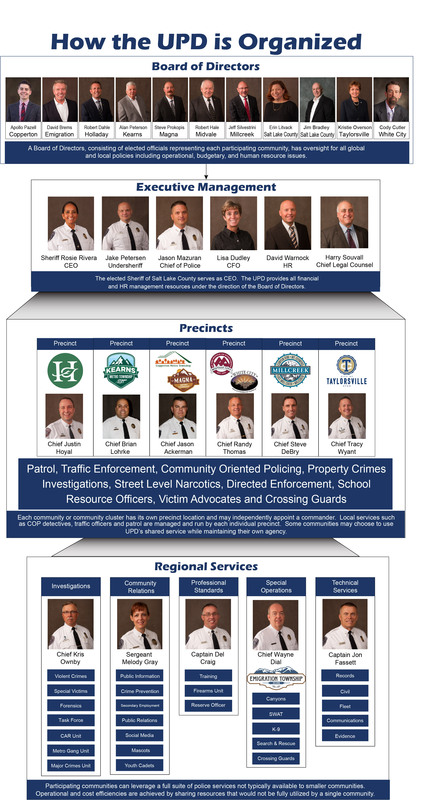 It is the mission of The Unified Police Department of Greater Salt Lake, in partnership with our community, to provide the highest quality service uniquely tailored to individual needs; to safeguard the lives and property of the people we serve; to increase confidence in safety and reduce crime through effective problem solving and responsible resource management. Our strength lies within the diversity of our individual communities creating a depth in our organization enabling a strong collaborative response through safe and progressive law enforcement principles. Trent Staggs was elected Mayor of Riverton on November 7, 2017 after having served four years on the Riverton City Council. His campaign and subsequent time in office has been focused on increasing economic development, driving efficiencies in government and leveraging technology to engage residents in policymaking decisions. His business, leadership and technology background are assets for the City and serve him well in his role as Mayor and UPD Board Member. Professionally, Mayor Staggs has demonstrated the leadership necessary to run both successful start-up and Fortune 500 organizations in the direct sales, finance and technology industries for almost 20 years. He currently works on the advisory board of a publicly traded company, managing an operational unit in Utah. Prior to his current role, he served as Technology VP on the corporate leadership team of a global direct sales company that operates in over 35 markets and held management positions for a nationwide mortgage brokerage firm and at Morgan Stanley. 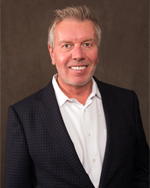 He has also held a principal broker real estate license in Utah for over 10 years. Trent received his Bachelor of Arts degree from the University of Utah in Political Science and Economics and received his MBA from the Marriott School of Management at Brigham Young University. He enjoys running, hiking, tennis and spending time with his family. Jeff Silvestrini was elected as Millcreek’s first mayor just before it became a city in 2016. Millcreek is Utah’s newest city with a population of nearly 60,000. Before becoming mayor, Jeff volunteered for more than 25 years as a community council and township council chair. He also currently serves on the board of the Unified Fire Authority. Before running for office, Jeff practiced as a civil attorney, focused on real property and healthcare litigation matters. He has been married to his wife, Leslie, for 35 years and has two grown daughters, Liz and Jill. Jeff graduated from the University of Michigan and the University of Utah College of Law. Mayor Kristie Overson began her public service as a member of the Taylorsville Planning Commission. She served in this capacity for eleven years. She then served as a City Council member for six years before being elected as Mayor. As a lifelong resident of Taylorsville, she is deeply rooted in service and giving back to the community. 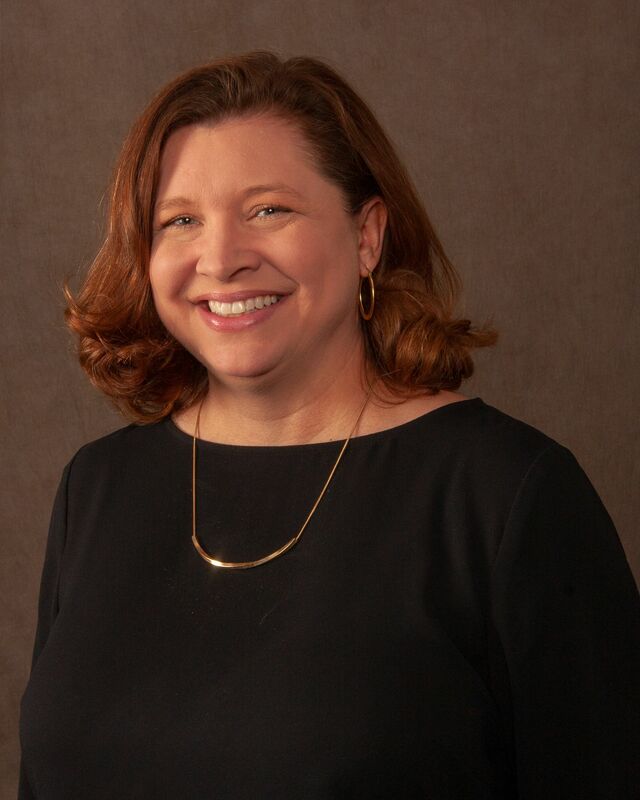 Her professional experience includes bookkeeping for a construction supply company and working as a para educator focusing on Special Education in Granite School District. Kristie is married, has five children and 10 grandchildren. Rob and Joni have three children, Jillian 23, Jane 21 and Jordan 18. Rob graduated from Murray High School and the University of Utah class of 83’. Upon graduation he entered active duty as a U.S. Army Officer and proudly served six years in this capacity. He was honorably discharged in 1989 and returned to Salt Lake to join the family clothing business. Met and married Joni Skagen while stationed at Fort Lewis, WA. They have three children, Jillian Oakland, CA, Jane Summerlin, NV and Jordan, Wichita Falls, TX. From 1989 though 2008 Rob served as President of Dahle Management Corporation (dba Dahle’s Big & Tall). From 1990 through 2008, Dahle’s operated between 12 and 43 locations in 12 states. After 50 years in business, Rob, along with brother Allan, made the decision to sell the business. When not at City Hall, Rob manages a small commercial real estate portfolio. 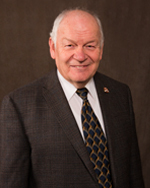 Jim was first elected to the Salt Lake County Council as an At-Large member in 2000 and has continuously served in that position. 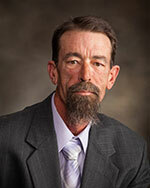 He also served as Chair of the former Salt Lake County Commission from 1991-1994. 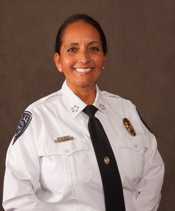 Currently, Jim is Chair of the Salt Lake Law Enforcement Service Area Board of Trustees and a member of the Board of the Unified Police Department. He also serves as a Trustee for the Wasatch Front Waste and Recycling District and the Central Utah Water Conservancy District. Mayor Robert Hale was elected Mayor of Midvale City in November 2017. He previously served on the City Council from 2007 to 2014 during which time he focused on fiscal management, economic development, public safety, code enforcement, community engagement, education and child development. Mayor Hale was raised in Idaho and Murray where he met and married his high school sweetheart, Susan. They have lived in Midvale since 1969 where they raised six children. They love to share time with their 24 grandchildren as they mature from childhood to adulthood. A 40-year veteran of the United State Postal Service, Mayor Hale served as a letter carrier, supervisor, manager, master instructor, and team leader. His most memorable experience was managing the US Postal Service philatelic and retail store in downtown Salt Lake City during the 2002 Winter Olympic Games. Mayor Hale’s public leadership includes serving as Commissioner of the Midvale City Planning and Zoning Commission (2001-2006), Trustee of the Union Community Council (1985-1999), and Board Member of the Midvalley Improvement District (2006-2017). Mayor Hale took a break from serving on the City Council so he and his wife could serve a 23-month mission to the São Paulo Metropolitan Area in Brazil. They were responsible for establishing the LDS First Presidency’s Self-Reliance Initiative within 19 congregation groups on the north and west quadrants of the city. 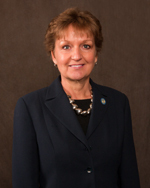 Mayor Hale holds a Bachelor of Arts degree in Graphic Design, with a minor in Spanish, from the University of Utah; and a Master of Arts degree in Interdisciplinary Studies: Organizational, Training and Human Resource Development from American University. He considers himself a lifelong learner, and is constantly pursuing opportunities to help him better serve his community. Mayor Hale is currently serving on the Salt Lake County Council of Governments, Conference of Mayors, Unified Fire Service District Board, Unified Police Department Board, Wasatch Front Regional Council, Utah League of Cities and Towns Legislative Policy Committee and the Midvale Advancement Program. David is an Architect and Fellow of the American Institute of Architects. David has lived in Emigration Canyon for 39 years, serving on the Emigration Canyon Planning Commission since becoming a Township and previously on the Salt Lake County Planning Commission continuously from 1988. David Brems is a founding principal of GSBS Architects, a 100 person firm headquartered in Salt Lake City with an office in Fort Worth Texas. 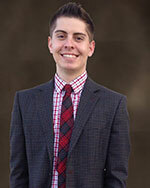 David is a board member of Envision Utah and University of Utah College of Architecture and Planning. David is an Adjunct Professor at the University of Utah College of Architecture and Planning. David an avid cyclist, sailor, and skier enjoys spending time at his family retreat in Boulder, Utah. 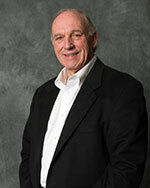 Steve Prokopis is a first term Councilman and was appointed to represent the Magna Metro Township on the U.P.D. Board. Additionally, he has been asked to serve on the finance sub-committee. As a lifelong Magna resident, he has been somewhat involved in politics over the years. He served two terms on the Magna Township Planning Commission, served on the Kennecott Tailings Impoundment Safety Committee; both were Mayoral appointments. However, with the new form of government for the Townships, he felt it was time to become more involved. Steve is married. He and Stephanie, his wife of 23 years, have two sons. Steve graduated from Judge Memorial High School, Snow College, and Utah Valley State College with a degree in Fire Science. 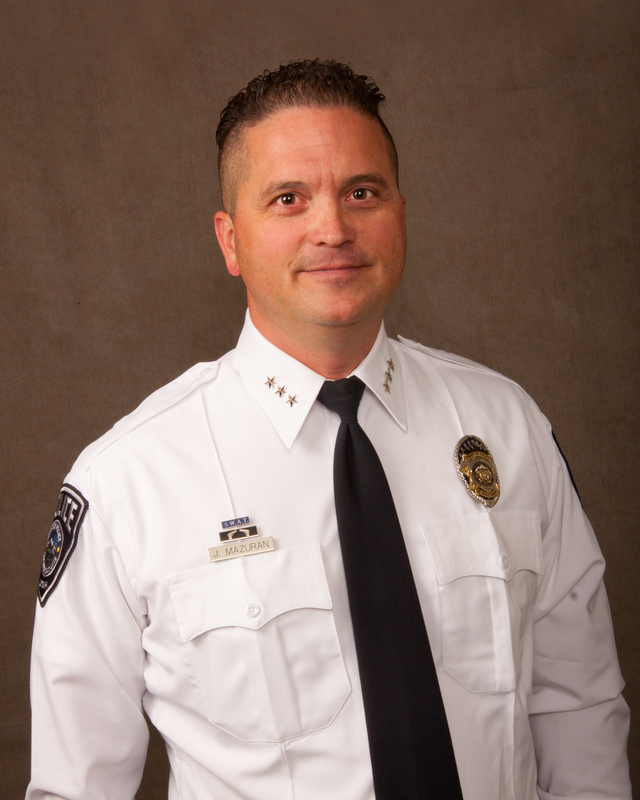 He is employed with Unified Fire Authority (formerly Salt Lake County Fire) and has been with them for 24 years, with over 15 of those years serving the residents of Magna directly. He is currently the Battalion Chief over the Public Relations Bureau. In the Fire Service he has enjoyed a close working relationship with the many great employees of both the Sheriff’s Office and U.P.D. My name is Alan Peterson. I am a member of the Kearns Metro Township Council. A retired member of the International Brotherhood of Electrical Workers. A past member of the National Association of Parliamentarians and the Kearns Community Council. I look forward to serving on the UPD Board and as a SLVLESA Trustee. Apollo Pazell is the sixth generation to call Copperton his home. Apollo was elected to the Copperton Metro Council after campaigning and finding community support for more fiscal discipline, transparency, and individual liberty. Apollo has worked as a political consultant for more than a decade, traveling the country to organize and empower folks who with a desire to serve their communities. Building effective and winning teams is the primary function of Apollo's work. With each experience, he has refined his skill set to be a leader in ordinance reform, fiscal restraint, and community engagement. Apollo's goal as a member of the Unified Police Board of Directors is to be a voice for fiscal discipline, dedication to civil rights, and community policing in pursuit of a peaceful and prosperous society. As a dedicated public servant with a work ethic that thrives on innovative thinking. Coming from a humble upbringing and necessity to work at an exotic fish distributor at a young age, Apollo brings a different perspective to the board and hopes to positively contribute to the governance of UPD.